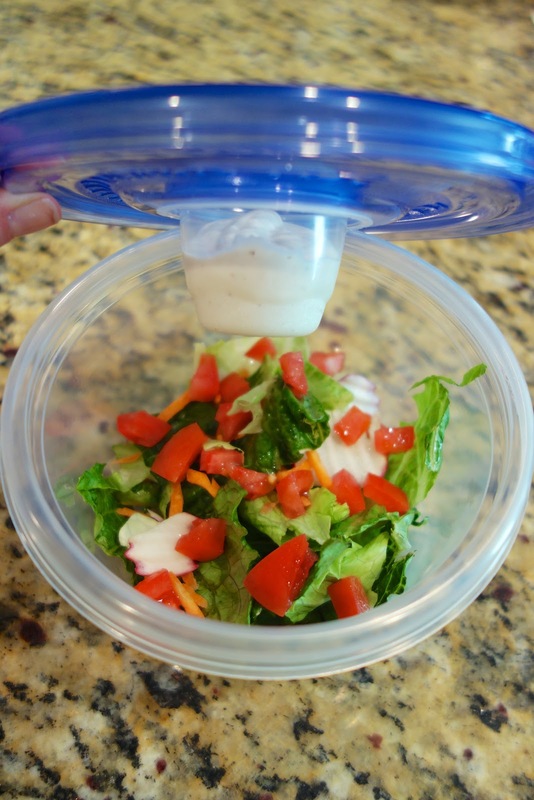 Today I want to tell you about one of my favorite products, Glad food storage containers. As a food blogger, I cook a lot. I also have a lot of leftovers. Most of the time I half recipes, but I am still left with lots of leftovers. 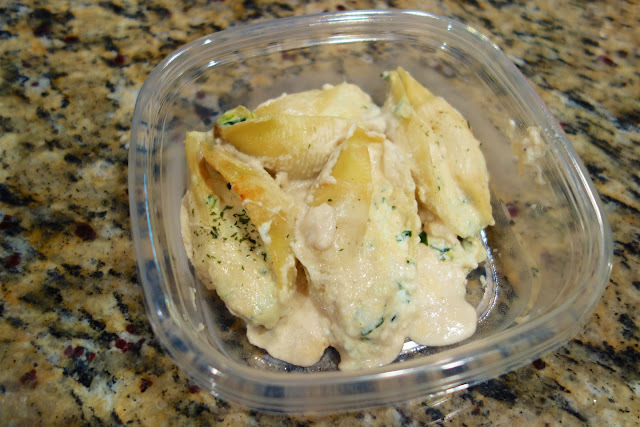 As a blogger, I feel it is important to let my readers know when the food is good leftover and if it freezes well. I use Glad food storage all the time for leftovers. They are perfect for my lifestyle because they go in the freezer, microwave and dishwasher. Taking my lunch saves me SO much money. I went out with a friend last week, and my bill was over $15, before tip. Ouch! That adds up to a lot of money over the course of year. To cut down on expenses, and calories, I usually take my lunch. The deal at our house is - I cook, he cleans. So, while Chicken Legs is cleaning up the dishes, I pack up the leftovers for lunch. It only takes a few minutes and saves me tons of time in the morning. My mornings are hectic enough. Heck, I am doing good just to get out of the house on time. I can’t try and pack my lunch then! 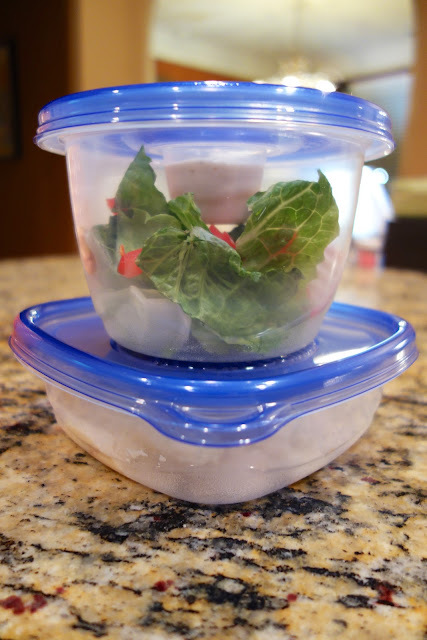 I love these Glad containers for packing lunch. They are inexpensive, so you don't have to worry about losing it or it getting ruined. Just get a new one! The Glad containers come in a variety of sizes. I typically use the “Entree” and the “Lunch To Go” sizes. They are also the perfect size for lunch - think portion control. We had stuffed shells and salad the other night. We had leftovers, of course. I assembled us each a few shells for lunch the next day. I placed it in the Glad Entree container. It fit perfectly! I used the Glad Lunch To Go container for a little side salad. I love the little snap in cup that holds the dressing. The Glad Lunch To Go container is actually my favorite. It is so versatile. I love to use it for chips and salsa. It is also great for pasta and parmesan cheese. 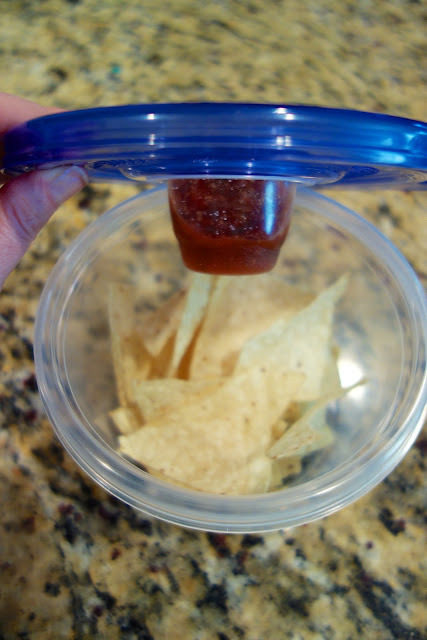 So many uses for this little container! These Glad containers really help make my lunch stress-free, and couldn’t we all use less stress in our lives?! The folks at Glad are having an awesome Pinterest contest (I know we all LOVE Pinterest). Go to Glad Pinterest Board Contest to Inspire your Lunch with Glad. Create your own Pinterest board for a chance to win weekly prizes. Step 1: Click the Glad photo in the gallery ( Glad Pinterest Board Contest ) that most inspires you to get started pinning. Step 3: Find at least 4 photos anywhere on the web that fits the theme of “Inspired Lunches” and pin them to your new board. Include #gladinspiredlunches in your photo description. Step 4: Once you’ve pinned 5 photos (including one from the Glad Pinterest Gallery) come back to ( Glad Pinterest Board Contest ) submit your board. If you make a pinboard in the Glad contest, share your pinboard URL in the comments—I’d love to see what you’ve done! In addition, I’m always looking for inspiration so tell me how you make your inspired lunches. Visit Glad's page on BlogHer for more ideas! 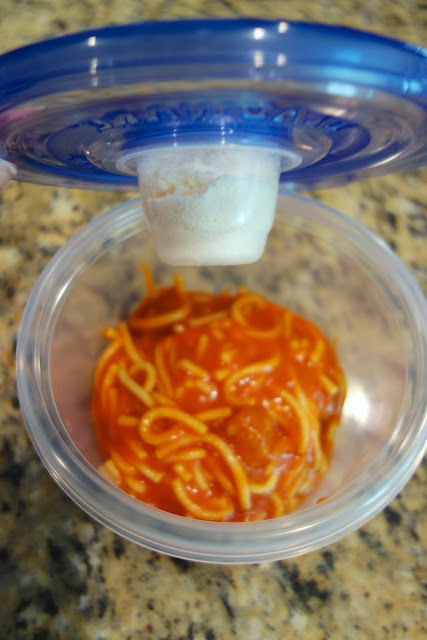 They are good containers...but I don't think plastic in the microwave is a good idea under any circumstances because of the chemicals and hormones that leach out. Plain chicken is very simple an healthy also. I tried for chicken chettinad ,its very simple. Just buy food online and have the delicious dish.